TONE VAYS HAS CRACKED IT NICELY! Wealth Research Group has called some major plays, such as Ethereum (at $12), DASH (at $25), Monero (at $19), Litecoin (at $22) and Steem (at $0.26). Tone Vays has been making technically analyzed forecasts, which is extremely difficult, correctly, for several years. We’ve collected a compilation of his most important ideas, visions and research from the past year and going forward! 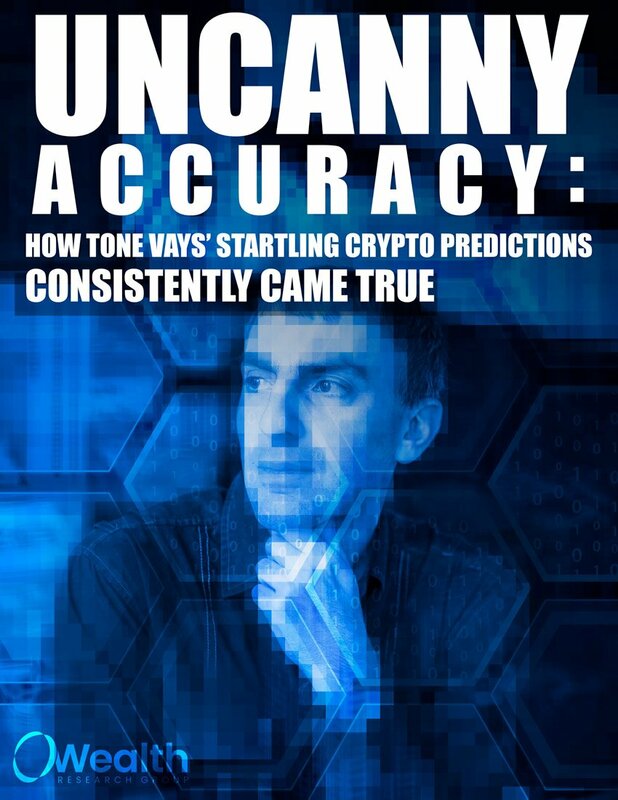 Download Uncanny Accuracy: Tone Vays’ Track Record now!